This RIZZI GREY Radici Patrimonio 1970 polo shirt is completely Handmade in Italy using an exclusive linen and cotton fabric. 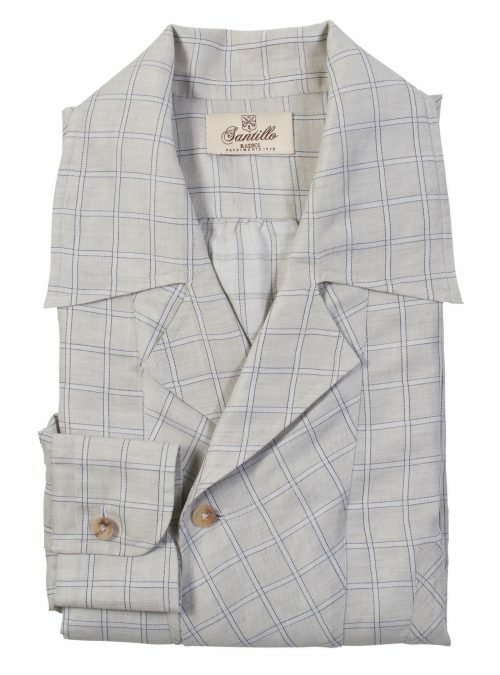 A lightweight windowpane check created exclusively by Santillo with nuance that reminds to the typical 70’s elegance and inspired to the Italian dandy icon Gigi Rizzi. 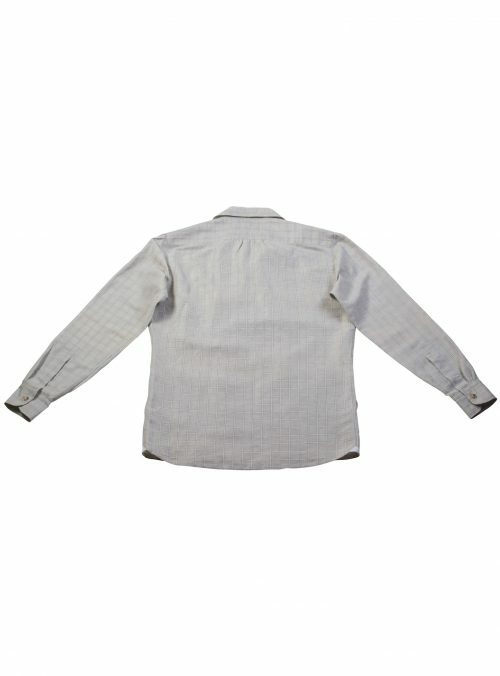 Collar totally empty is melted into one piece with the front of the shirt that is buttoned with two buttons on the side of the chest, one chest patch pocket and two large patch multi section pocket on waist. 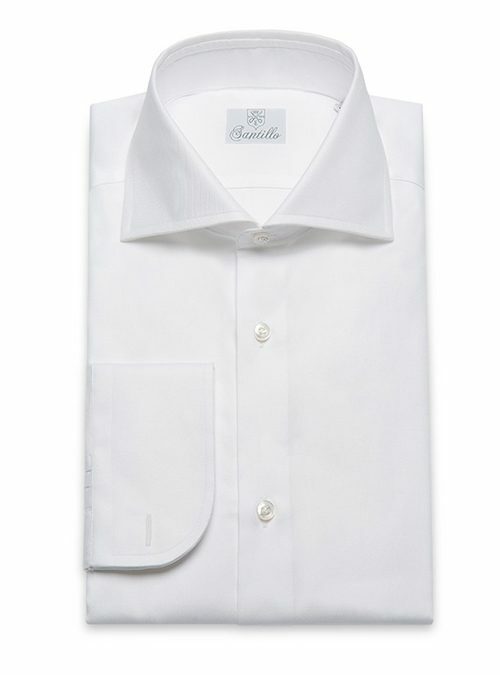 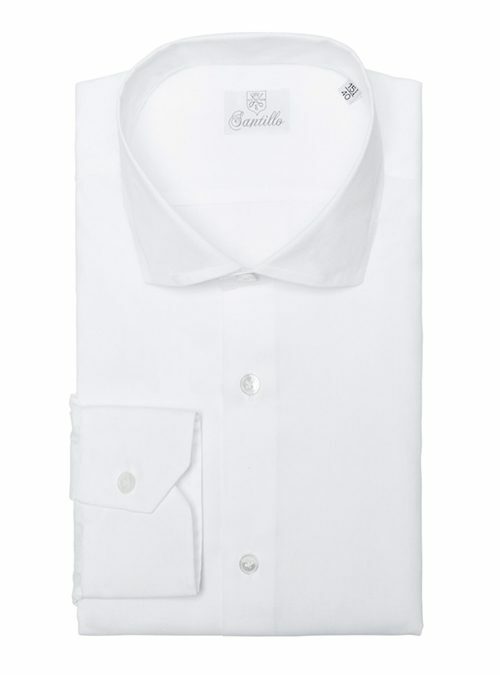 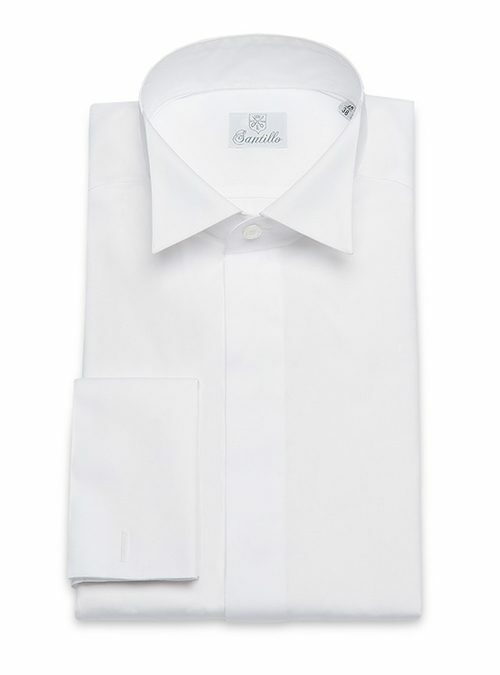 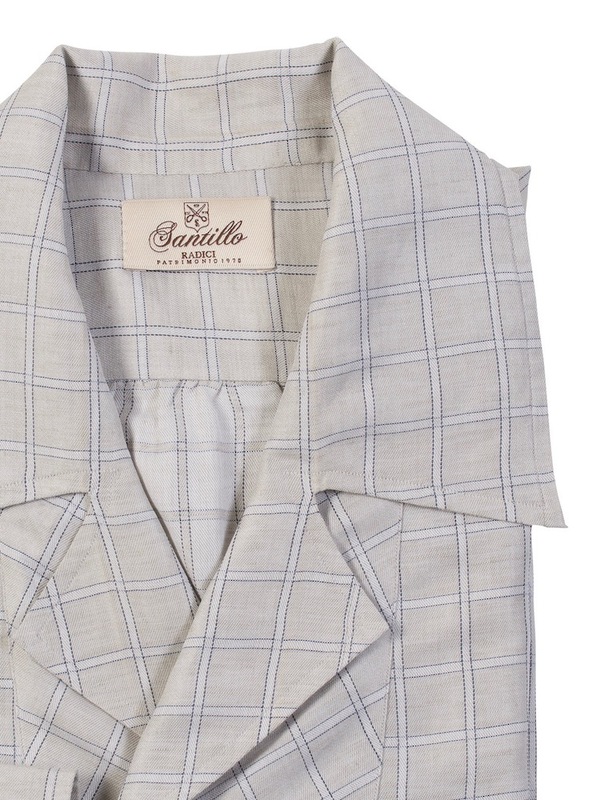 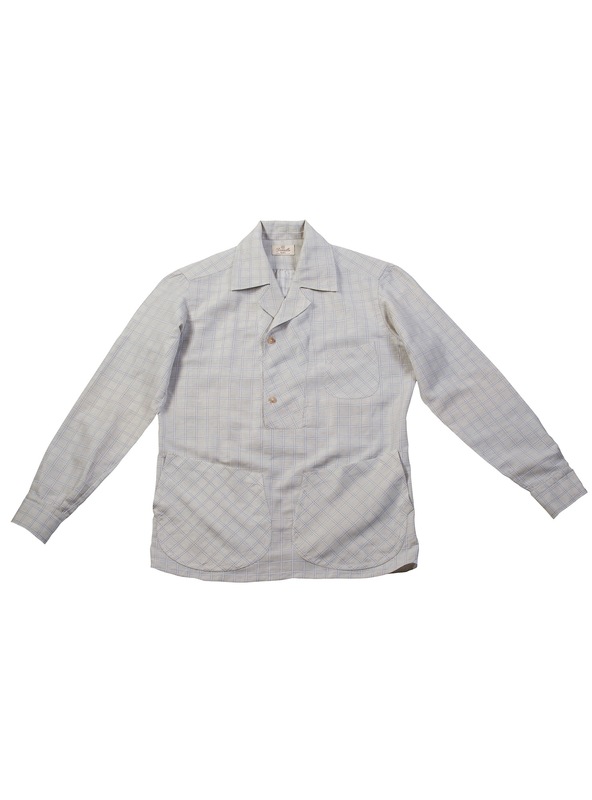 Once the sides have been sewn, the restitching of the armhole is realized with the Santillo famous “punto a barchetta”, in order to enhance the softness and strenght of the fabric in the most stressed point of the shirt. 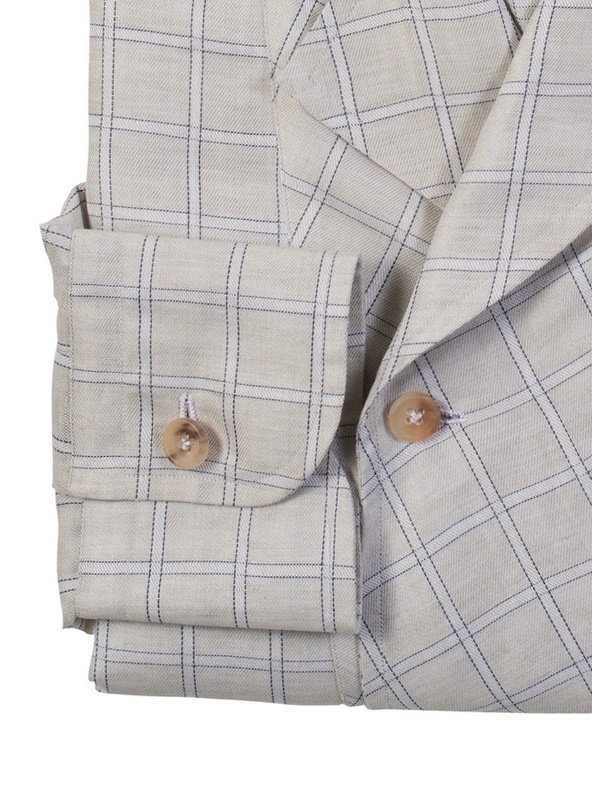 Horn buttons are applied by hand with “lily stitching” and little hand embroidered hem are applied on the most important point of the shirt.